Well, it’s another day, another whisky brand. 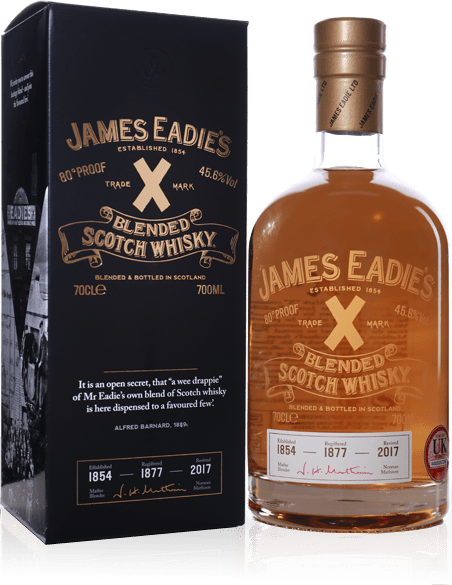 This one, however (and it’s not massively advertised) is from the James Eadie brand – and that is the drinkable facade of the absolutely non-drinkable WhiskyInvestDirect company. 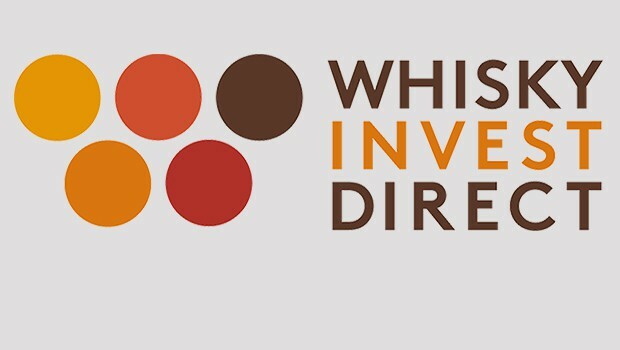 Many moons ago we interviewed the folks behind WhiskyInvestDirect. If you ever want to invest in Scotch whisky, but don’t want to ever drink it, this cuts to the chase and allows people to put their money in casks of maturing spirit only to sell it down the line without it ever having been bottled. So although it shouldn’t be, it’s a bit of a surprise to me that the owners have put out actual whisky. 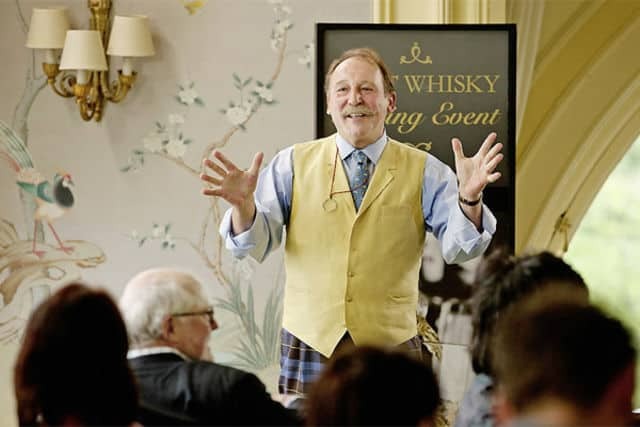 All it takes to sell whisky these days is a story. You don’t even have to make the stuff – one only needs to look across to Ireland to see how effective this has been in recent years. Create a brand, give it an interesting story, and you can practically sell anything. This brand, however, can be forgiven in its genesis – because it actually has a legitimate story – and quite a nice one. Rupert Patrick of WhiskyInvestDirect had a great-great-grandfather – and this was Mr James Eadie. And James Eadie had a whisky brand called Trade Mark ‘X’. So, quite logically, Rupert wanted to resurrect the brand – and here we are. There’s some more storytelling on the website if you wish to read it. I don’t know anything too useful about what went into the whisky, although there are some interesting YouTube videos about putting the blend together. 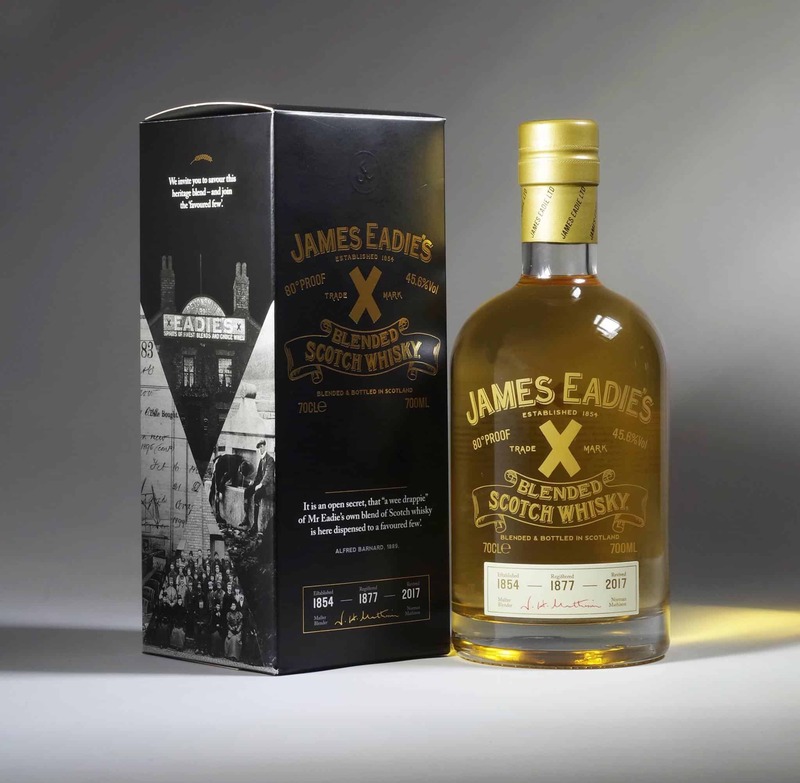 Bottled at a decent 45.6% ABV, James Eadie’s Trade Mark “X” will set you back £45. Colour: yellow gold, quite pale in fact (more so than the images on the website). On the nose: youthful or lacking in active maturation, but it’s still pleasant. Creamy buttermilk notes, soft cheese and digestive biscuits. Or perhaps Cream Crackers. Chocolatey and eventually quite spicy, with nutmeg and ginger. Citrus – and herbal, with notes of coriander. Slightly bready, with grapefruit, kiwis and pineapple. In the mouth: plenty of fresh fruit, with apples, lime, mango showing. Creamy and malty again, with lemon curd, a black pepper warmth, a little bit of black tea and ashy peat. Cloves. Grassy, hoppy, with toffee fudge notes. There’s a lovely oily quality to this – the grain components showing heavily – but consequently, the finish is a little short on flavour, if long on those oils and pepperiness. Pretty much a one-note whisky, and it’s pleasant enough, but I can’t help think this showcases some rather inactive maturation in the component whiskies – a problem with a lot of Scotch these days. That said, it’s been assembled very well indeed – it’s simply that what was here for them to start with wasn’t great. Certainly, to my tastes, the casks weren’t quite up to scratch – the whisky feels about £15 too much for what you can taste. Adam recently (and wonderfully) argued on Malt that old Scotch blends were far better than new ones, for a variety of technical – and objective – reasons. This has done nothing to dissuade me of the fact. Note: I probably don’t have to keep saying when samples were provided, but as you can see – and as we always say on Malt – we are an honest site, and samples don’t guarantee splendid things to be said about them. I’m sure some big sites are quite intimately connected with those in the industry and might be forced to say kind things – but you won’t find many favours around Malt, even to our friends. We even argue among ourselves offline. We’re quite a horrible lot, really. Hello and thanks for the honesty in the review. As one of the scores of people named James Eadie around the world, I look forward to news about this product with a sense of fun, hoping it would be a respectable first showing. I’m not familiar with your rankings. Is 5/10 being damned by faint praise? Is it a grade of F on a 100 point scale, or an OK rating for a person’s first try at making a commercial blend? I hope that describing a blend by mentioning “digestive biscuits” is more positive than it sounds to a person living in the US (and not in Napa Valley, CA). Have the words scotch and digestive biscuits ever been in the same sentence before? Lastly, what do you suggest for a whisky that feels about £15 too LITTLE for what you can taste? 5/10? Right in the middle: https://malt-review.com/about/scoring-bands/ – not good, not bad. Digestive biscuits are a very British thing. They’re nice! A plain biscuit – not sure what the US comparison might be… But very, ugh, biscuity without much sweetness. £15 too little? Anything from GlenDronach, Bruichladdich or Glengoyne are among the best value, and should be accessible.